Get ready to Crack open your Jaws when dining at Ma’s!! October 19, 2015 October 19, 2015 ~ Trevis Dampier Sr. Most Americans love Chinese food, whether dining in a restaurant or from a slew of those little, folded white takeout boxes with the wire handle. However, the Chinese food found in most casual Chinese restaurants in the U.S. is very far removed from the authentic cuisine eaten daily by most people living in China. Chinese food is a great tasty exotic meal for those that are used to eating hamburgers and hot dogs all day. Most American’s are used to eating the sweet and sour pork, egg rolls and Kung Pao chicken but there is a distinct difference from eating the Westernized version versus the Authentic version. I have to say that I like both but sometimes I actually like the Westernized versions better. The way the food is made in the Westernized versions tend to have more flavors that us Americans are adapted to. However, once you get your taste buds adapted to the Western version and you want to try food more fresh and modern, then the Authentic version is the way to go. 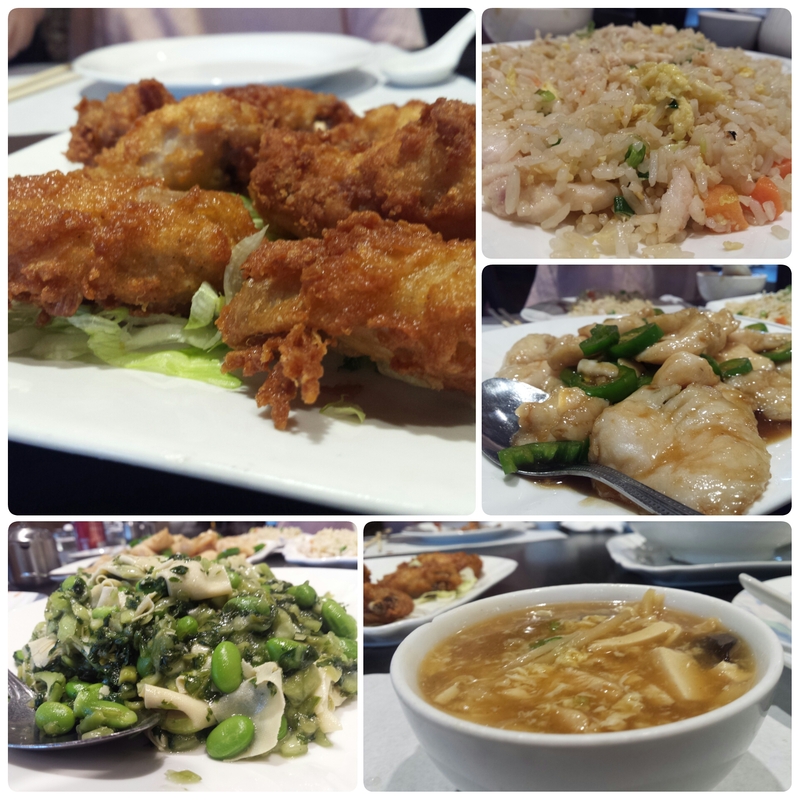 Ma’s is a great place to eat some Authentic Chinese food! So it’s dinner time and today’s meal is Chinese food. Virginia and I decide to head over to Ma’s for some authentic Chinese food. Since we spread our food adventures with different chefs in the Bay Area of all regions around the world we usually order just about the same thing every time. An order of hot and sour soup, a fish or beef item on the menu, and then some rice and call it a day. Today will be hot and sour soup, fried fish in garlic sauce and chicken fried rice. I was a little hungry so I decided to order some fried chicken as well. This helps me get a small dose of a Westernized touch. The hot and sour soup is a great started and has an explosion of flavor coming out of it. In most hot and sour soups they consist of tofu, egg, bamboo shoots, mushroom and all kinds of other tasty seasonings. Every slurp opens up your sinuses and gives you a burst of outstanding flavors! Next up is the fried chicken, where at Ma’s they have succulent and crunchy finger licking delights. The chicken was cooked perfectly and was really tender inside with a beautiful crust layer that was golden brown with an awesome crunch to it. I see the rice coming.. I see the fish coming..
My leg is bouncing under the table with excitement! I dive into the fish first and it instantly melted in my mouth. Great flavor with an exotic, authentic slightly spicy garlic sauce. I use the rice to cool it down and then I get a punch of flavor from that as well. Bite after bite..Chew after chew is a experience of the Orient right here at home in the Bay Area! Good job Ma’s! True live action eating! Thanks for joining me on today’s adventure! I look forward to seeing you on the next run. Keep hope alive! < Previous You’re Gonna Need Time to Recoup after eating Butter and Zeus! Next > You’ll Dine like an African Lion with a Rib Eye at Poseidon!